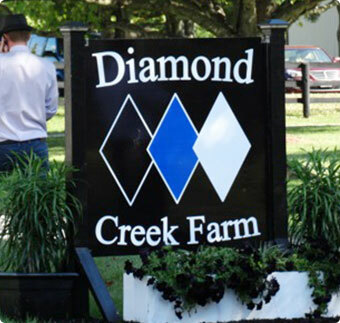 Diamond Creek Farm began as a vision to create a breeding operation that focuses on influential bloodlines and producing only quality horses for the sale ring and the racetrack. True to our vision, Diamond Creek Farm has firmly established itself by producing champions and standing high-caliber, sought-after stallions. We began 2018 on a high note with the first crops of Always B Miki and Creatine being welcomed to the world. 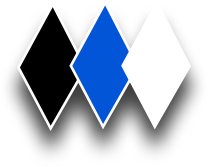 The breeding season also saw the ultimate success of our expansion to Ohio and partnership with Sugar Valley Farm to stand Downbytheseaside and Creatine. As spring ended and summer began, the first crops of Sweet Lou and Father Patrick began gracing the racetracks to astounding success. 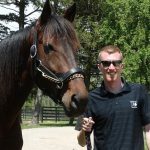 Both stallions are a hit and remain entrenched near the lead of average earnings per foal, and Father Patrick looks to expand upon his limited first crop with a highly-touted group of yearlings sold in the fall. As we close the curtain on 2018, the next act for Diamond Creek begins anew with hope springing eternal. The path is still laid out in front of us. The goals haven’t changed, and the drive to complete them is still burning a hole in our hearts.